Let this adorable pup keep an eye on your eyeglasses. 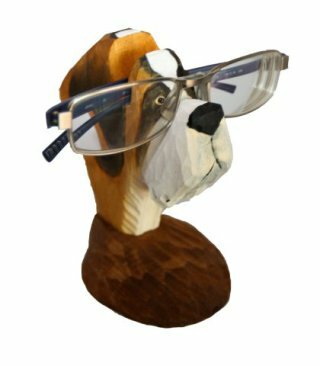 This dog eyeglasses holder has a notch carved into his head perfect for "wearing" your glasses and keeping them safe and sound at night, and he looks so cute doing it! This is a great gift for any glasses-wearing dog-loving man, woman, or child. For more information about the wooden dog eyeglasses holder, click here.